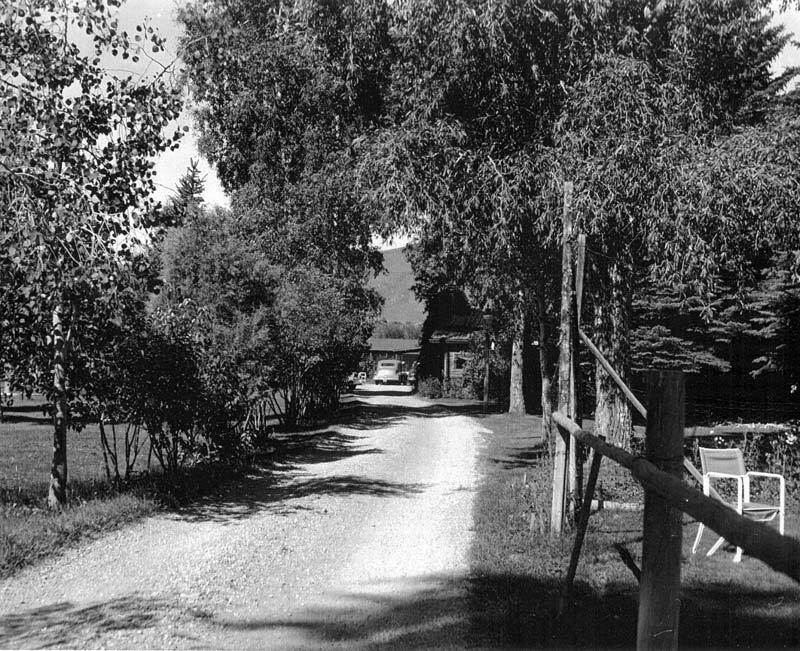 Bar Lazy J is considered the oldest continuously operating Colorado guest ranch. With that in mind, you'll understand why we are proud of our heritage and legacy in Colorado dude ranch history. The beginning of “dude ranching” came about as a result of one of its still most valued features: true western hospitality. In the early days, most ranchers wouldn’t turn away travelers stranded for the night, particularly in inclement weather. Meals and lodging of a kind were provided without cost. With the increase in traffic along the more traveled routes, for some ranches this became a real chore and many decided to charge for the privilege, even though they did not advertise for guests. Gradually some ranchers expanded these services and became "dude ranches"—a ranch that took in guests. Food, lodging, horseback riding, fishing, square dancing, singing and cookouts were offered most often at one price – the American Plan. Atmosphere was the key ingredient – it was informal in manners and dress and people were on a first name basis. Hospitality was genuine and guests did things together as part of a ranch family. 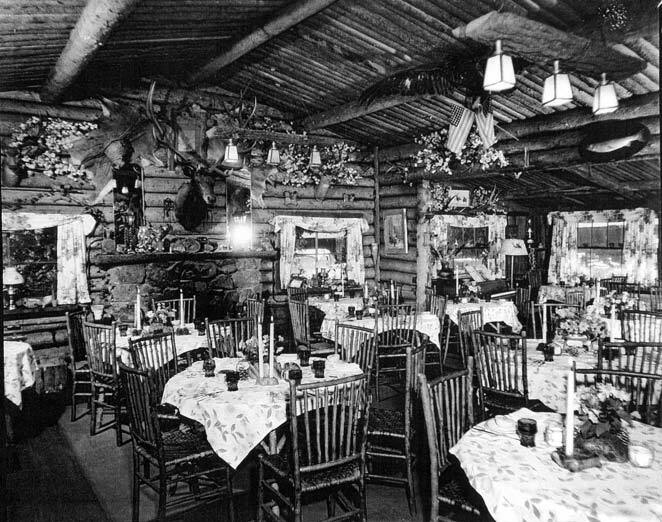 The Buckhorn Lodge, continuing in operation as the Bar Lazy J, is considered the oldest continuously operating guest ranch in Colorado dude ranch history. 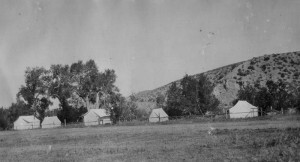 James S. Ferguson and Edgar M. Messiter purchased the ranch in 1904 from Lizzie Sullivan. James and Florence (Brownie) Ferguson and Edgar Messiter started their resort in 1912. Within a few years, James Ferguson died and E.M. then married Florence (Brownie) and pressed forward running the ranch. They were both beautiful riders and had raised polo ponies before coming to Buckhorn. When they decided to promote the ranch commercially, they hired a young woman "newly out" – a debutante --who acted as their social secretary. Guests had to have a letter of reference before they could hope to come to Buckhorn. And the elite of Colorado came. The rates in those years were $5.00/day American Plan. The atmosphere was absolutely formal at first; coffee before breakfast served elegantly in demitasse cups on the lawn; polo played on the lawn; a croquet court between the cabins and river. Maids never participated in activities, but served their particular families and returned to their quarters. Brownie supervised the help and Edgar (E.M.) did all the outside work. E.M. had a knack for raising flowers and vegetables, including fine potatoes, and he supervised the planting of trees brought in from some distance. His gardens were famous for its beauty. Indeed, he never showed up to be with guests until 4:00 in the afternoon when tea was served. Before then, he was busy ‘on the ditch’. Those who wished had a rare opportunity to visit and get better acquainted with Edgar – he had wonderful stories to tell. 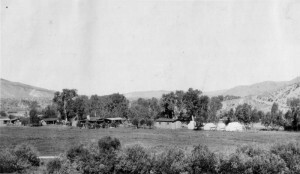 Early guests were accommodated in tents along the river. Gradually cabins supplanted the tents. Each cabin was built for a specific family, such as the Neusteters, the Ganoa, or the Downeses. Close by, a smaller cabin housed the maids and governesses. Each cabin was eventually named for a famous fishing fly or wild flower. Early guests stayed at Buckhorn much longer than they do now. Transportation was chiefly available by wagon or train and travel was not so quick or easy. The Buckhorn was never a working ranch – it was too small to raise sufficient hay for the stock. In 1945, the Messiters decided they were too old for the business and sold to Mr. and Mrs. Hugh Neece. 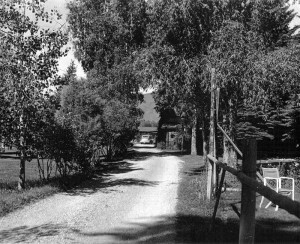 Edgar Messiter kept 2 acres and built a house called the "Willows" where he lived on occasion after Brownie passed away, until he died at the age of 90 in 1961. His ashes are buried behind the main house. The Neeces changed the atmosphere of the ranch by moving a piano into the dining room to furnish dinner music and by bringing in a whole bank of slot machines (which were legal at that time). The Neeces greatly improved the property in a number of ways within a few short years. They never made much money, but they stayed because they enjoyed the way of life. Finally, a Texas business interest forced them to sell. John Kemp and his brother, Casey, ran the ranch for one year in 1951 before it was purchased in 1952 by Rudy and Mabel Menghini. The Menghinis were professional musicians. She had been a well-known opera singer. Rudy had also been a cowboy at Baggs, Wyoming for a time in his younger days. Rudy changed the name of the ranch to Bar Lazy J, the original brand which had stayed with the ranch through changes in ownership. Until 1952 cabins and water had been heated with wood stoves, two cabins per stove. Someone came around with wood each day about 4:00 am and stoked up the fire. That year wood stoves gave way to gas heaters. The Menghinis added a cocktail lounge (currently the kids room) and a heated swimming pool. 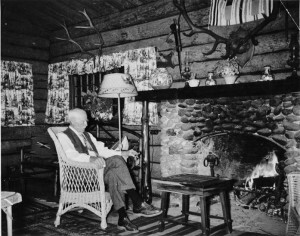 In 1961, the Neusteters lent Rudy and Mabel money at no interest to modernize the cabins in return for the use of a particular cabin (Sweetbriar) at no charge for ten years. Chuck and Phyllis Broady bought the ranch in 1968. They brought with them three young sons. Chuck added on to an existing cabin—now the Ranch House-- and created a home for his family. You can still see the pencil marks of their “growth chart” on one of the walls there. 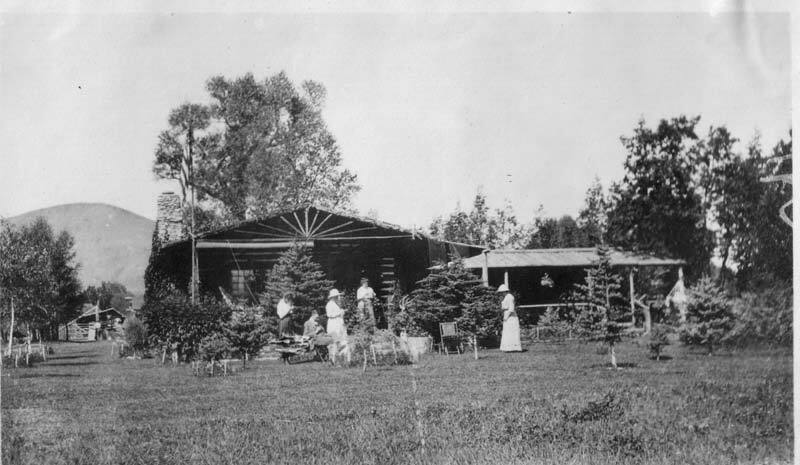 The Broadys were the first owners to live on the ranch year round. The Broadys put added emphasis on horseback riding. The whole ranch was family oriented – with dad often wanting to fish, the mother and children could go riding. Though Chuck had little prior experience with horses, he did his own wrangling until the business grew to the point when he had to hire a wrangler. 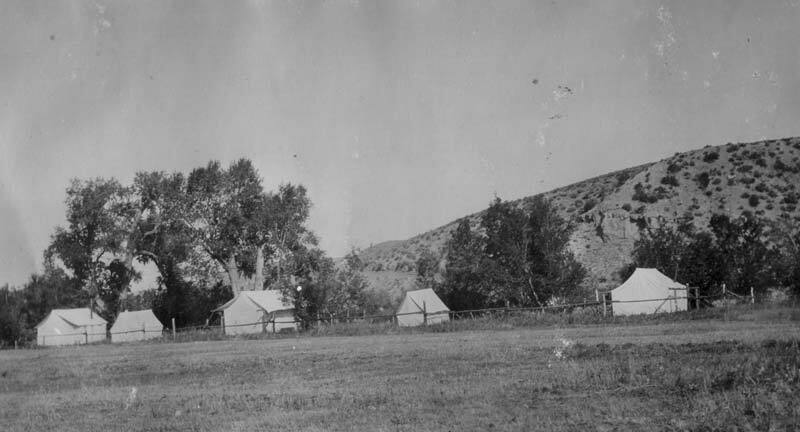 When the boys were grown, the Broadys decided to retire and put the ranch on the market, but still remain in the county and often visit. In November 1987, Larry and Barbara Harmon and their two children, Kam and Matt, purchased the Bar Lazy J and continued the Broadys’ tradition of year-round living on the ranch. Being avid riders, Barb and Larry extended the horse program even further by adding rides for all levels of riders, offering instructions, and offering trailer rides to areas away from the ranch so guests could see more of the beautiful countryside. The horses were treated to a new barn in 1990, where they could rest in the shade between rides and be fed grain twice a day. The Harmons improved cabins and in the winter of 1993, completely rebuilt one of the original 1912 cabins. 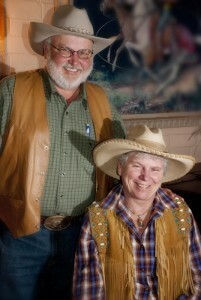 Jerry and Cheri Amos-Helmicki purchased the ranch in November, 1995. Being outdoor enthusiasts, Cheri and Jerry wanted to share their experiences with their guests and have worked very hard to continue the original dude ranch theme, with an atmosphere of warm, friendly hospitality and a "Western Experience" for all. Often guests from decades ago stop in to revisit the place they came with their family long ago and has remained long in their hearts and memories. We love to hear their beautiful recollections of the ranch in its younger years and to see their grateful expressions when they observe how deeply loved it remains and the magic it still possesses for everyone who comes down the drive. Over a hundred years later, we’re committed to continuing that tradition and preserving the ranch’s beauty and history. In memory of all those whose lives have been affected by their experiences here and those who laid the foundation, we proudly declare: Here’s to another 100 years!